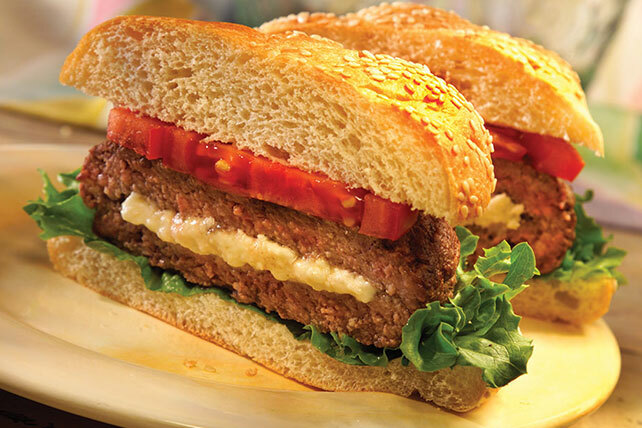 Try these delicious Feta-Stuffed Burgers. Tangy feta cheese is the surprise filling inside these juicy grilled beef burgers served on toasted kaiser rolls. Serve with lettuce and sliced tomato. To prepare more quickly, mix meat and feta cheese; shape into 4 patties. Grill as directed.